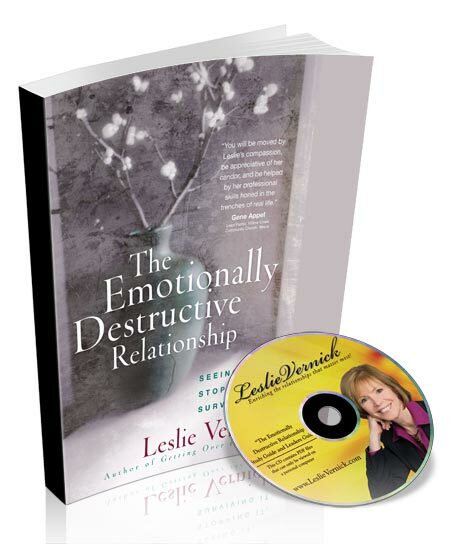 transform difficult circumstances so they can live with gratitude, joy, and purpose. Come on a journey of personal growth and spiritual discovery as your heart is drawn back to a central tenet of the Gospel: Truth isn’t something you learn, but Someone you know. And the Truth will set you free. Previously published as The Truth Principle. Do You Need Greater Self-Esteem–Or Something Else Entirely? Western culture increasingly emphasizes the importance of self-love and self-esteem. Many of us believe we must “find” ourselves–and feel good about what we see–before we can experience significant spiritual growth. Focusing so much on ourselves, however, distracts us from pursuing the only source of true fulfillment. Do we, as God’s people, really need to love ourselves more? Or is there a wiser, biblical path that can lead us to joy that is not self-centered and fleeting, but God-focused and lasting? 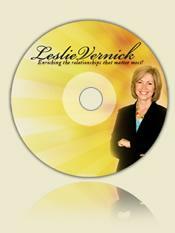 Challenging the current fascination with self esteem, Leslie Vernick answers these questions and others that trip up Christians today. Offering surprising insights and practical helps that can make a real difference in your life, she shows how you can experience greater personal, relational, and spiritual growth while humbly adoring and glorifying your God. Experience the Blessings of an Imperfect Marriage. 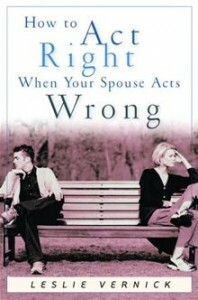 We all–at one time or another–have the opportunity to act right when our spouse acts wrong. There are no perfect marriages or perfect spouses. We know that having a good marriage requires effort and hard work. 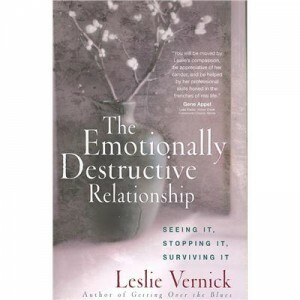 Yet we often don’t know how to continue to love when we are angry, hurt, scared, or just plain irritated. Nor are we sure what that kind of love is supposed to look like. Should we be patient? Forgive and forget? 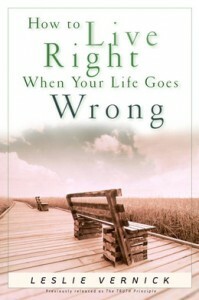 Do something else entirely?Acting right when your spouse acts wrong will not necessarily guarantee a more satisfying marital relationship, nor will it automatically make your spouse change his or her ways–although both could occur. It will, however, help you see how God is stretching you in the midst of your marital difficulties, teach you to respond wisely when wronged, and lead you into a deeper relationship with Christ as you yield your will to his plan for your life and learn to be more like him. When the pain of life hits, where do you go with it?Praying Through Life’s Problems urges you to take your suffering to the One who numbers the hairs on our heads and gives us our very life and breath. 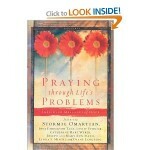 Offering transformational messages from Stormie Omartian, Joni Eareckson Tada, Leslie Vernick, Catherine Hart Weber, Dr. Joseph and Mary Ann Mayo, Linda S. Mintle, and Diane Langberg, this book will help you stay on course and stay connected to God when hard times come. From praying through every situation that arises, to developing a healthy body image and working through both the wounds of the past and the fears of the future, this book offers page after page of gentle hope. Hope that will whisper God’s love to your soul as He calls you to an extraordinary trust in Him. La cultura occidental hace un enfasis cada vez mayor en la importancia de la autoestima y del amor propio. Muchos creemos que debemos “encontrarnos” nosotros mismos y sentirnos bien con nosotros mismos antes de experimentar un crecimiento espiritual importante. Sin embargo, cuando nos centramos tanto en nosotros, nos distraemos de la busqueda de la unica fuente de verdadera satisfaccion. Como pueblo de Dios, tnecesitamos de verdad amarnos mis a nosotros mismos o existe un camino biblico mas sabio que nos conduzca al gozo que no se centra en el set y que es fugaz, sino que se centra en Dios y es duradero? 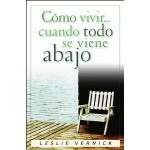 Desafiando la actual fascinacion con la autoestima, Leslie Vernick responde estas preguntas y otras que hacen tropezar a los cristianos de hoy. Al ofrecernos sorprendentes conceptos y ayudas practicas capaces de transformar de verdad nuestra vida, nos muestra como podemos experimentar un crecimiento personal, relacional y espiritual a la vez que adoramos y glorificamos con humildad a nuestro Dios.Western culture increasingly emphasizes the importance of self-love and self-esteem. Many of us believe we must “find” ourselves and feel good about what we see before we can experience significant spiritual growth. Focusing so much on ourselves, however, distracts us from pursuing the only source of true fulfillment. Do we, as God’s people, really need to love ourselves more? 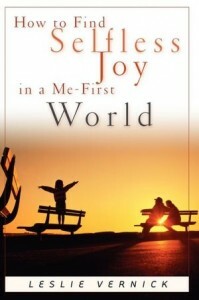 Or is there a wiser, biblical path that can lead us to joy that is not self-centered and fleeting, but God-focused and lasting? 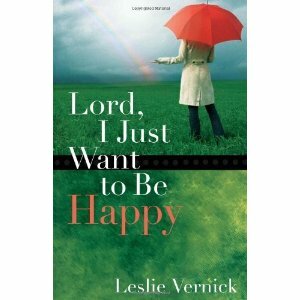 Challenging the current fascination with self esteem, Leslie Vernick answers these questions and others that trip up Christians today. Offering surprising insights and practical helps that can make a real difference in your life, she shows how you can experience greater personal, relational, and spiritual, and growth while humbly adoring and glorifying your God.